saw033079 SCOTLAND (1950). Blantyre Engineering Co. Ltd. Works, John Street, Blantyre. An oblique aerial photograph taken facing south-east. This image has been produced from a crop marked negative. Title [SAW033079] Blantyre Engineering Co. Ltd. Works, John Street, Blantyre. An oblique aerial photograph taken facing south-east. This image has been produced from a crop marked negative. Baird's Rows, Miner's 'cottages' tied to Craighead Pit. 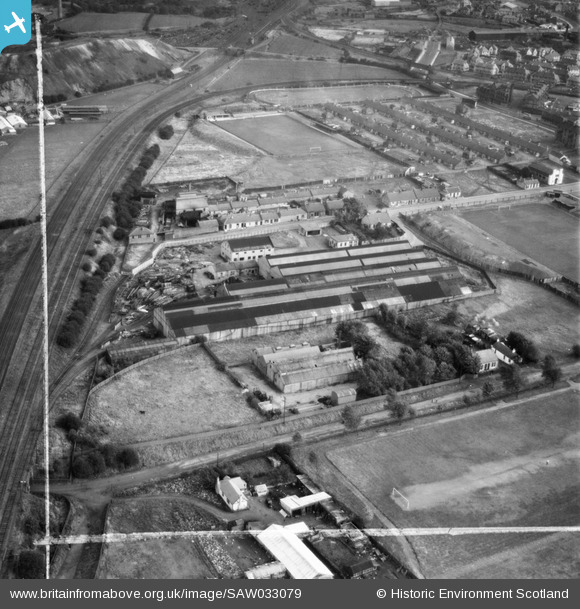 Greyhound Track and later home of Glasgow Tigers speedway team. Now the A725 East Kilbride road.